914World.com - The largest online 914 community! Porsche, and the Porsche crest are registered trademarks of Dr. Ing. h.c. F. Porsche AG. 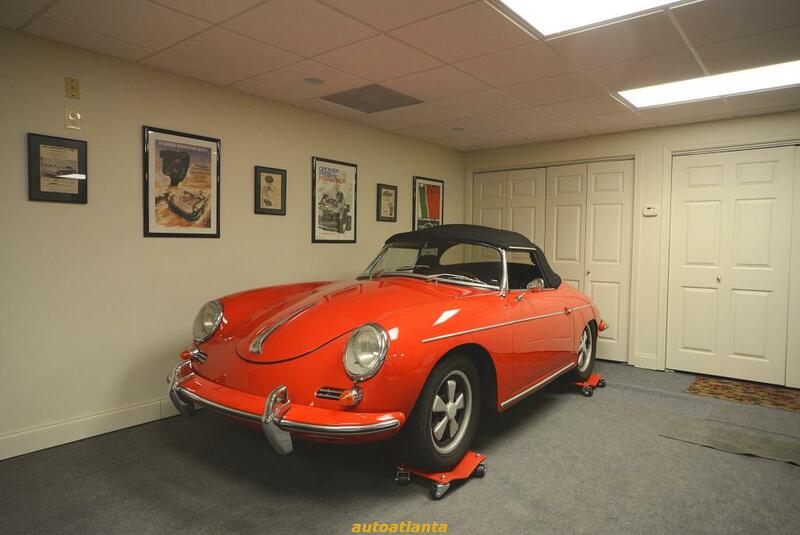 This site is not affiliated with Porsche in any way. Its only purpose is to provide an online forum for car enthusiasts. All other trademarks are property of their respective owners. wheel dollies, roll on the carpet! I always needed more space in my downstairs display area for the cars, and knew that with wheel dollies, I could make more room, but was worried that they would not roll on the carpet. Well one of our suppliers actually came up with a set that does due to the extra heavy wheel bearings. It is amazing, thought that I was going to have to remove the carpet and install tile or something to accomplish my goal. Going to load the rest of them in this week. Not at all surprised they roll on that. The carpet appears to be a commercial grade minimum thickness material. Glad it worked out. How much is that low mile six you are representing ? Invision Power Board v9.1.4 © 2019 IPS, Inc.
914World.com is the fastest growing online 914 community!